Looks like Adam Lambert’s popularity in Australia shows no signs of abating at this stage, at least not in the wake of his recent promotional visit, with Dainty Group this morning confirming the addition of two more shows to the recently-announced Australian leg of his ‘The Original High’ tour. The new shows will take place on January 26 (Melbourne) and January 31 (Sydney), with tickets for both going on sale less than half an hour ago. Adam’s visit (and various live performances) will impact the ARIA singles and albums chart tomorrow. His current smash hit ‘Ghost Town’ spent a lot of the past week at No.1 on the iTunes singles chart, while his album ‘The Original High’ spent plenty of time at No.1 on the iTunes album chart. How that time at the top impacts on tomorrow’s official charts will be revealed tomorrow night at 6pm AEST. Went to see The Project, great to see Adam again. Just bought my tickets to The Palais, Adelaide Entertainment Centre & The Enmore…Hoping to catch up with all the Glamberts……. Adam Lambert LIVE is unbelievable. Catch the show if you can. Excellent news. 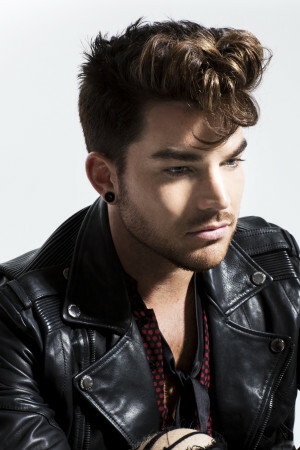 Adam Lambert is extraordinary!